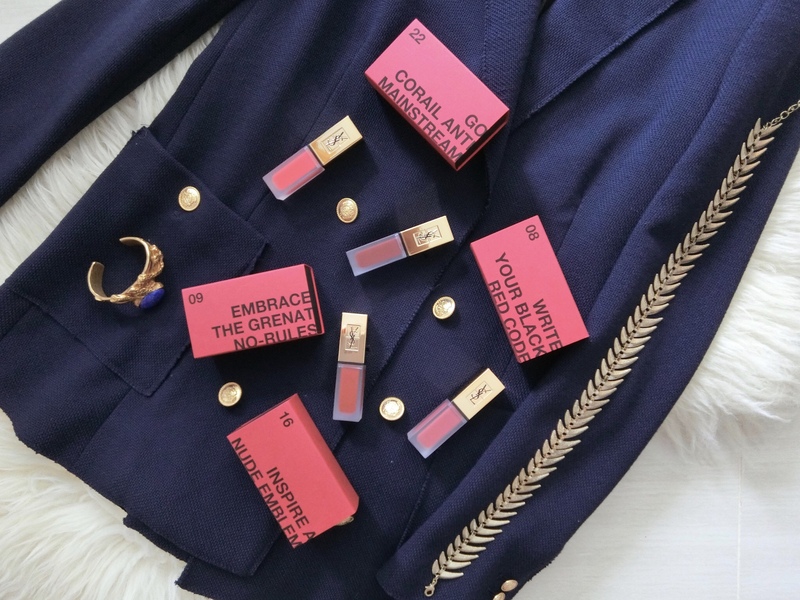 Yves Saint Laurent Beaute has always been at the forefront of the liquid lipstick game. Some six years ago, when it launched its Rouge Pur Couture Vernis a Levres, it blew so many of its competitors out of the water. The lightweight texture of the liquid lipstick gave lips a punchy colour with a Ferrari-finish shine. Now, it is set to keep lipstick junkies’ pulse racing with the new Tatouage Couture Matte Stain. As lightweight as the Vernis a Levre, with that fresh watery feeling on the lips, the Tatouage formula dries down on the lips with a pretty pop of colour and a trendy satin-matte finish. Clearly inspired by the permamence of tattoos, the Tatouage range is long-lasting (but not through oily food). Just one dip and one coat is enough for an smooth and even coat of beautiful colour. The spatula-shaped applicator – stamped with a tiny YSL logo, no less, for that luxe factor – makes precise strokes a breeze. Watch this for a snapshot of how this lippie performs.